Nice. The more re-arrangeable the furniture and features, the more useful it will be, obivously. Will it be rotatable, so elevations can be seen? After reading your profile, I see more thangs in common than just one. Though in my Ward we generally cut a lot of chickens on rocks. I guess that's the difference between East and West? Nice to hear from you. Unfortunately we are not rendering the room in 3D. 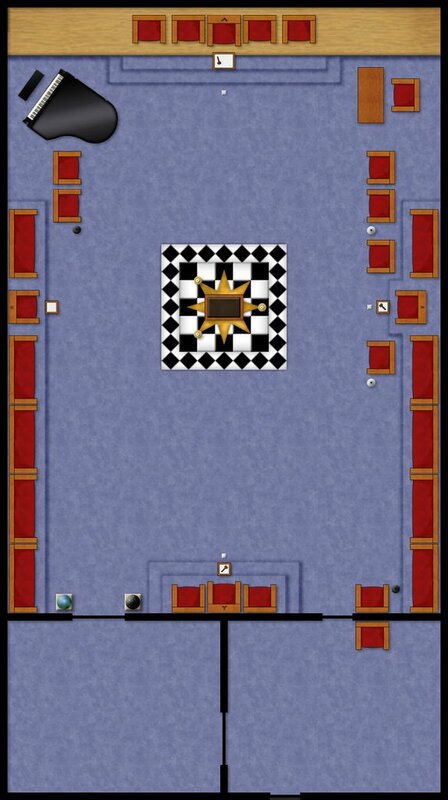 There are other 3D lodge rooms floating around on the Internet, and we opted to go for a more beautiful 2D rendering instead of sacrificing the image fidelity to make a 3D model. If you want to talk about some of the things we have in common, feel free to drop me an note, info at kingsolomonslodge d0t org.